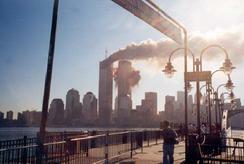 I, the Lord God, know you say you will never forget where you were when you heard the news On September 11, 2001. Neither will I, for I Am the Creator of this world and the heavens above. I was on the 110th floor of one of the twin tower buildings in New York City, USA. I held his fingers steady as he dialed his cell phone. I was also with his wife when he called her as she was feeding breakfast to their little children. I held her hand and I supported her when she was trying to understand her husband's words. I was with her when she realized he wasn't coming home that night. I, the Lord God, was also in the stairwell of the 23rd floor of one of the twin towers when a woman cried out to Me for help. 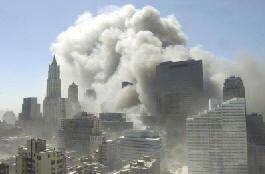 I, the Lord God, was also at the base of one of the twin towers with a Priest. He was ministering to two injured and devastated souls. When he passed over to Me, I took him home to tend to his Flock in Heaven. 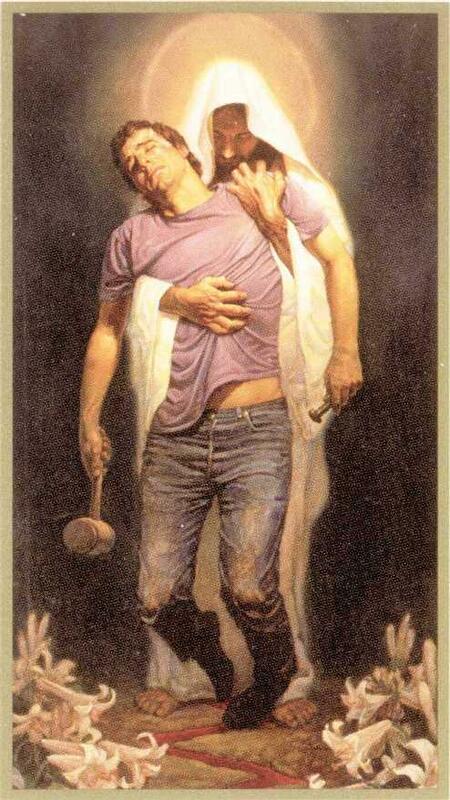 When He heard my voice speaking to him, he rejoiced and he answered Me. I, the Lord God, was on all four of those planes at the same time, and I was in every seat. With every prayer those people got closer to Me, through My Son, Jesus. I was with the crew as they were overtaken by the highjackers. I was in the very hearts of all of the believers who were on those planes. I was comforting them and assuring them that their faith and belief had saved them. I, the Lord God, was in Texas, Virginia, California, Michigan, and Afghanistan, all at the same time. 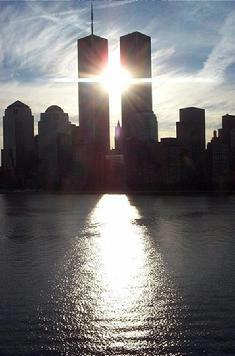 I was standing next to you when you heard the terrible news about the twin towers falling. Did you sense Me being in your midst? For I want you to know now that I saw your face and I saw every face around you. I knew your name, and I knew everyone else's name. Though I know you did not know Me or My Son. Some of you met Me for the first time on the 86th floor of one of the towers. Some of you sought Me with your last breath on this earth. Some you couldn't hear Me when I was calling to you through the smoke and flames. I, the Lord God, know some of you chose to come to Me for the first time. Others chose to ignore Me that day. However, if you were there in that explosive moment of time, would you have reached for Me? 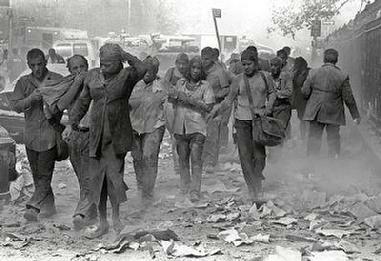 If you did then Sept. 11, 2001, would not be the end of the journey for you. Even though other people's journey ended that day. I was there for them also, but they did not seek My face. Therefore, it is time for you to seek Me now, through My only Son, Jesus. Seek Me today while I may still be found. For you never know when your time on this earth will end. I, the Lord God, will be in the stairwell of your final moments here. I will be able to see you for I Am your Creator God, and I Am forever eternal. Therefore, during the next 60 seconds, stop whatever you are doing. Take this opportunity to seek Me through My Son, Jesus. Stop and appreciate My love, power, and dominion over you and your loved ones upon this earth. Recognize who I Am, for I want to have pleasant thoughts about you. I want to know you better and have you achieve things that are pleasing to Me. Therefore, if you are not ashamed of Me and My Son, Jesus, then I will not be ashamed of you in the heavenly realm where I dwell. If you are not ashamed of Me and My Son, then copy this message and send it to all of your friends. For if you believe in Me, then I will be your strength. I will be your fountain of living water upon this earth, and your life-giving Savior. With Me and My Son, by your side, you will never be alone. For I will be with you to the ends of this earth.